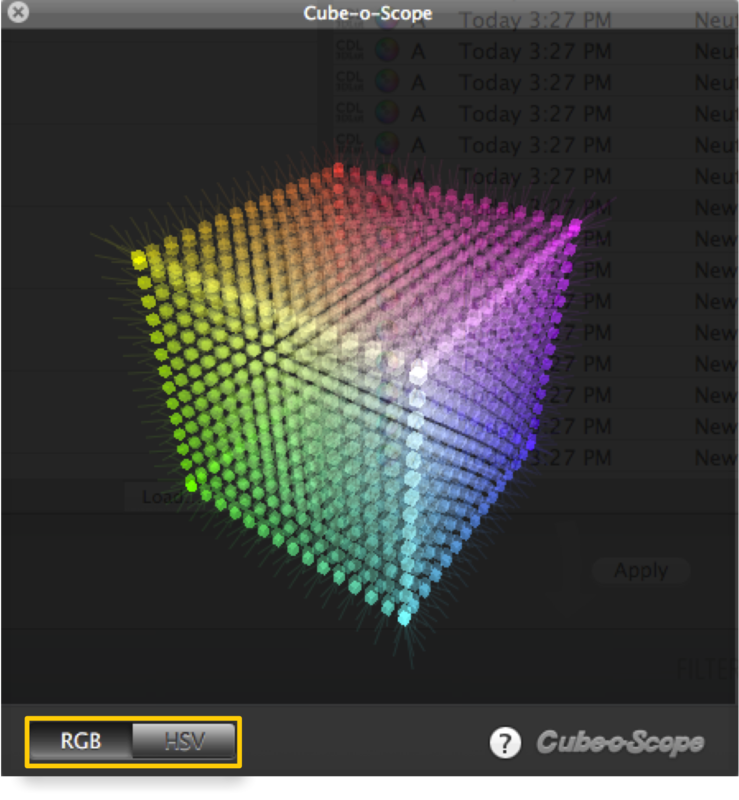 LiveGrade offers an unique visualization of the resulting lookup table (3D LUT) of all color transformations. It assists in interactively manipulating colors of an SDI signal and visualizes the changes in code values. 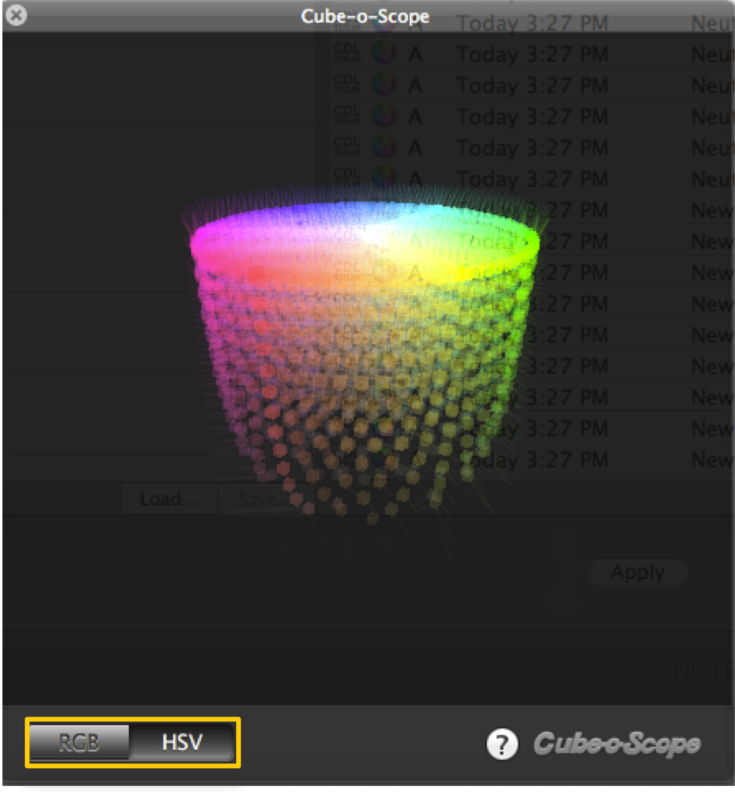 The Cube-o-Scope displays entries of a 3-dimensional lookup table in their source color and their destination position. 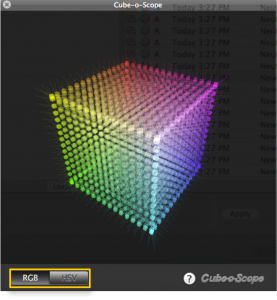 if you change the saturation, the color values will move the central, neutral position of the 3D cube. the color transformation of the current grading mode. 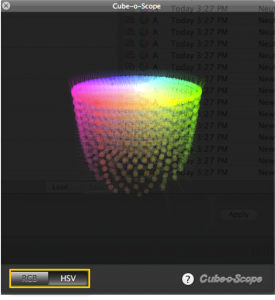 Cube-o-Scope has two display modes: It can display in an RGB cube (figure 1) and in an HSV cylinder (figure 2). Use the selector buttons (yellow rectangle in figure 1+2) below the visualization to change the display mode. To inspect all aspects of the lookup table properly the visualization (cube or cylinder) can be rotated around by click-dragging on the visualization.